It’s become far too fashionable, over the decades since disgraced president Richard Nixon’s resignation, to tack the suffix “-gate” onto political scandals. The usage no longer conveys much useful information. In most cases, it’s mere cliche. Not so when it comes to the revelation that, as US Secretary of State, Hillary Clinton essentially privatized her work email. This is definitely Watergate-level stuff. Clinton’s actions went far beyond those of Mitt Romney or Sarah Palin, who as governors got caught conducting some official business over personal web mail accounts. Clinton ran all of her office email through her own private server, registered under a fake name and physically located in her New York home. It wasn’t the Watergate break-in per se that cost Nixon his presidency. It was his attempt to cover up his own role afterward, by erasing taped conversations, that got articles of impeachment moving through Congress. Those articles were drawn up by the House Judiciary Committee, with advice from a legal team including among its members young Yale Law School graduate Hillary Rodham. Two years later, Ms. Rodham married Yale classmate Bill Clinton. She knew the Federal Records Act required preservation of her official emails on State Department Servers. Neither she nor her staff took steps to comply with that law during her time in office. She knew that absent such preservation, her official emails would fly under the radar of Freedom of Information Act requests. That was probably one of two reasons why she did what she did. The other likely reason was that she knew her conduct as Secretary of State could, at some point, come under legal scrutiny and wanted to maintain control of her emails to frustrate such scrutiny. Just like Richard Nixon with his tapes. After she left office, the State Department requested copies of her official emails. It received only those her aides, as directed by her, decided to turn over. On March 4, the US House Select Committee on Benghazi, which is investigating the 2012 attack on an American diplomatic compound in Libya, subpoenaed Clinton’s emails relating to that attack. Will the investigators get those emails without a fight? Will they get all the relevant emails, or just those convenient to Hillary Clinton’s version of events? And most importantly, how will they know whether or not they got everything? As a libertarian, I oppose letting political officials keep secrets at all. It’s just too dangerous. It threatens our freedom. Julian Assange, Chelsea Manning and Edward Snowden are heroes of mine for exposing the illegal and immoral activities of politicians and bureaucrats. But one need not share my radical opposition to government secrecy to understand that Clinton’s actions go beyond the pale. She didn’t just keep government secrets. She took drastic measures to keep those secrets under her personal control, immune to discovery even by the very government she served. This kind of behavior cost Nixon his presidency. It should cost Clinton her shot at the White House. The Republican Party of Iowa will host its 2015 Straw Poll at the Central Iowa Expo in Boone, IA., on August 8, 2015. According to the Republican Party of Iowa, the decision was made on Thursday morning during a conference call meeting of the State Central Committee. The final vote was unanimous. A central location, only 30 minutes from the Des Moines suburbs and no more than 3 hours from the farthest points of the state. Ample and close parking, providing a convenient experience for attendees. An iconic setting well-known throughout Iowa and the Midwest for it’s connection to agriculture. The bucolic surroundings evoke Iowa’s unique history, with a railroad flanking one section and corn and soybean fields surrounding the others. Competitive pricing, which helps keep ticket prices affordable for attendees and candidates. The necessary infrastructure to hold a large and nationally important event. Governor Branstad said that Central Iowa Expo’s price will help maintain the event’s strong attendance. Branstad has, in the past, indicated that he thought it may be time to end the straw poll which has traditionally been held in Ames believing that the straw poll could jeopardize Iowa’s first in the nation status. Iowa GOP Co-Chair Cody Hoefert said the Iowa Straw Poll is a unique opportunity for Iowans and presidential candidates. Remaining details of the event will be announced in the coming weeks and months according to a press release from the Iowa GOP. On Tuesday, at their meeting in Ames, the Iowa Transportation Commission approved an amendment to the fiscal year 2015 Iowa Transportation Improvement Program (Program) that will add several new highway and bridge construction projects to the program in FY 2015. According to the Iowa Transportation Commission, this amendment is possible due to the legislative passage of Senate File 257 and signed by Governor Branstad on February 25 which raised Iowa’s gas tax by 10 cents a gallon effective March 1. The amendment adds highway and bridge projects with an estimated cost of $33.2 million. The $33.2 million represents 100 percent of the additional road funding for state highway projects expected to be generated in FY 2015. The projects include two non-interstate bridge modernization projects; four interstate construction projects; one safety project; and two non-interstate pavement modernization projects, one of which is a statewide project that will address spot locations across Iowa that have immediate needs for rehabilitation. The amendment also includes funding to purchase right of way for one new non-interstate capacity/system enhancement project. The addition of funding to purchase right of way for the improvement of U.S. 20 from Correctionville to the west junction of U.S. 59 will permit accelerated development of remaining sections of the U.S. 20 corridor in western Iowa. The construction projects included in this amendment are planned to begin in calendar year 2015. At their March workshop, the Commission also continued discussion on the development of the 2016-2020 Iowa Transportation Improvement Program. This Program will identify all state highway system construction projects that can be accomplished over that five-year period due to the additional funding resulting from Senate File 257. The Program will be adopted at the June Commission meeting. Critics, on the other hand, say the 10 cent gas tax increase was sold as repairing roads in need and not new road construction projects. Iowa went from having the 36th highest gas tax to the 13th highest in the country after the March gasoline tax hike. A Polk County judge today ordered a California company behind, what the Iowa Attorney General’s office called “government look-alike property record mailings,” to provide refunds to Iowans and to pay $25,000 to the state of Iowa. District Court Judge Karen A. Romano ordered Record Transfer Services LLC to stop soliciting Iowa residents for payment for property deed records or any other government records. The order, called a consent judgment, also requires the defendants to refund any Iowan who incurred losses, and to pay $25,000 for future consumer fraud actions and litigation costs. The consent judgment resolves a consumer fraud lawsuit filed in January by Iowa Attorney General Tom Miller. Miller’s lawsuit alleged that the company sent official-looking “Recorded Deed Notices” to Iowans, claiming they needed a copy of their deed as “legal evidence of ownership.” Homeowners who responded were charged an $83 “document fee” or “processing fee” for the service. According to Miller, homeowners do not generally need to have such records on hand, and in any event could obtain them from a local county recorder’s website or office at little or no charge. While the mailings contained disclaimers that the company was not a governmental entity, Miller alleged the overall design was to trick consumers into making what appeared to be mandated payments. Miller noted that it’s not clear how many mailings the company sent to Iowans over the past few months. Only one Iowan was known to have lost money, which has been refunded. If other Iowans lost money, Miller added, they should contact the Consumer Protection Division, because the court order requires the defendants to provide refunds. Record Transfer Services has an F rating with the Better Business Bureau. Operating expenses for Casey’s increased 12.5% year to date. “Operating expenses are up primarily due to the unit growth we have experienced since this time a year ago, along with store replacements and the various initiatives we have in place to grow sales throughout our chain,” said Myers. Store level operating expenses that have not been impacted by the initiatives were up 2.4% for the quarter. The Company’s annual goal is to build or acquire 72 to 108 stores and replace 25 existing stores. As of the end of the third fiscal quarter, the Company opened 33 new stores and acquired 32 stores. The Company also completed 25 replacements. In January, the Company completed the expansion of the Distribution Center in Ankeny, Iowa, and is expecting to complete the construction of a second distribution center in Terre Haute, Indiana in February 2016. “The Company is well positioned to take advantage of any acquisition opportunity that may become available,” Myers said. “We are in excellent financial shape to continue to build and acquire stores, and we will maintain our disciplined approach when evaluating potential acquisitions.” The Company currently has 26 new and 11 replacement stores under construction. At its March meeting, the Board of Directors declared a quarterly dividend of $0.20 per share. The dividend is payable May 15, 2015 to shareholders of record on May 1, 2015. (NewsUSA) – Tax season is in full swing, and many people are being reminded of the tax burden their investment returns carry. As a result, some are adopting a smarter strategy for maximizing long-term returns by deferring taxes and allowing gains to compound over time. This route can generate considerable savings simply by enrolling in a tax-deferred retirement account and investing through it. *	Investing Pre-Tax vs. Post-Tax Income. With traditional Individual Retirement Accounts (IRAs) or 401(k) plans, contributions are made to the account with pre-tax income. Later, when the funds are withdrawn, they’re taxed just like ordinary income. *	Tax Incentives With Self-Directed IRAs. For investors seeking to invest in alternative assets to safely diversify their portfolios and generate income, the lesser-known self-directed IRA is also tax-deferred, but provides additional flexibility. This account enables the holder to invest in assets such as residential property, commercial real estate, precious metals and oil. *	Using Real Estate to Diversify. Self-directed IRAs can help protect from risk through diversification and, for that same reason, can provide extra earning power. Real estate tends to be less correlated with the stock markets and thus is less volatile when the markets experience wide swings. With a rental property asset in a self-directed IRA, rent payments from tenants are directly added to retirement savings, where they compound and grow tax-deferred until the investor takes a distribution in retirement. 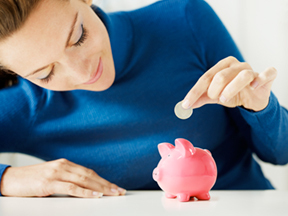 Self-directed IRAs are managed by a qualified custodian on behalf of the investor. The trustee helps file the proper annual IRS reports to ensure compliance with the tax code. “Real estate and rental properties are popular investments because they can generate income in addition to a long-term return on investment,” said Brett Immel, co-founder and senior partner of Growth Equity Group. To find more information about self-directed IRAs and real estate investments, visit www.growthequitygroup.com.